Whatever Happened to Argentina’s Wine Boom? 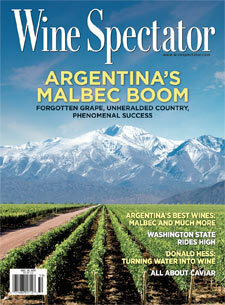 Whatever happened to Argentina’s wine boom (and can that country’s wine industry recover the momentum it has lost)? Argentina is an important player in world wine. Recent OIV statistics (click here to download the pdf) tell us that Argentina is the fifth largest wine producer in the world (behind the USA and ahead of Australia) and the eighth largest consumer country. Just a few years ago it seemed like Argentina was poised to become the next New Zealand in terms of its export growth, especially here in the U.S.
New Zealand somehow manages to sell more Sauvignon Blanc each year and it seemed like Argentina might find a way to do the same with its signature Malbec wines. In fact, the boom was so strong that it made some people nervous, as the award-winning 2011 documentary Boom Varietal revealed. Maybe it was too good to be true? Maybe the world would suddenly get tired of Malbec and move on to something else? What then? Bust? The boom had many causes. Perhaps the most important was the Argentine Peso Crisis of the early 2000s. The collapse of the peso and the opening of the economy to foreign investment was a painful transition for the people of Argentina, but it restored international competitiveness and encouraged foreign investment, both critical to the industry’s rise. Like many European countries, wine consumption in Argentina is in long-term decline and the economic crisis made things worse for the domestic market, where inexpensive jug wines dominate. As explained in Laura Catena’s book Vino Argentino and Ian Mount’s The Vineyard at the End of the World, Argentine producers found themselves with no choice but to focus on export markets for growth and that meant major investments to improve quality. The U.S. market was the prime target, a different strategy than Chile, which developed more diversified export opportunities. The US-led export push was effective for several reasons. First the wines presented good value and rapidly improving quality. The U.S. wine market was growing and consumers were turning away from Merlot and later Syrah/Shiraz, opening the door for easy to drink and understand Malbec. Some of the most important brands established effective distribution partnerships, which enabled them to lead Argentina into the market and firmly establish the category. Catena partnered with Gallo, for example, to make Alamos the market leader No wonder Argentina’s wine exports boomed year after year. The only questions, it seemed at the time, were would demand continue to rise and, if it did, could Argentina produce enough Malbec to satisfy thirsty buyers? And then? Well, the boom didn’t turn to bust as many feared, but Argentina’s export growth has skidded to a stop. As Kim Marcus reports in his recent Wine Spectator article, exports to the U.S. have plateaued at about 13.2 million cases overall. Recent Nielsen data for off-premises sale as reported in Wine Business Monthly paint only a slightly more optimistic picture, with a meager 0.3% growth rate over the previous 52 week and a 2.5% fall in sales revenues over the most recent four weeks. The Wine By Numbers figures for January through September 2015 shown above (click on the table to enlarge it) tell the story in detail. Export volume is up overall, but revenues are down because of falling unit price. Good success in bottled wine sales in some markets (UK, Germany and China, for example), is offset by declines elsewhere, including Sweden and Denmark. Note the huge rise in UK bulk sales. But the US market is still #1 for Argentina and it remains flat. An article by Angel Antin in the current issue of Market Watch adds more detail about the U.S. market situation. Impact Databank statistics show that Argentina wine shipments to the US market peaked in 2010-11 in terms of volume after a decade of rapid growth. 2014 volume was modestly down from that peak, but lower than any year since 2009. The boom seems to have faded. The situation for individual brands depends very much on price point and margin. Constellation’s Marcus James was the market leader in 2009 with 425 thousand cases in the U.S. market compared with Alamos with 75 thousand cases. But the situation has changed. Alamos, which sells at a premium price point, has plateaued at 900 thousand cases in 2014. Marcus James, selling at a much lower price point, has slumped to just 180 thousand cases. What accounts for this situation? The U.S. market has indeed shifted. “Red Blends” are now the fastest growing red wine category, rising to #2 after Cabernet Sauvignon and ahead of Merlot and Pinot Noir. I suspect that some of the Red Blend growth is coming at the expense of Malbec sales. The Red Blend category is very diverse, encompassing all sorts of blends (even some that include Malbec). I like to joke that the key to Red Blend success is that many of the products are blends of two wines that consumers say they hate but secretly love: Merlot and Shiraz. Whether this is really true or not, Red Blend is a convenient category for producers with stocks of red wines and an inconvenient truth for Argentina producers. But Red Blends are far from the most important problem. It seems to me that the most severe constraint on Argentina exports in recent years has been supply not demand. Not so much difficulty growing grapes and making wine as navigating the harsh economics of the situation. The economic policies of the government of President Cristina Fernández de Kirchner pushed up inflation rates, which pushed up wage rates, which increased the cost of producing wine. At the same time, the exchange rate was frozen at an artificially high rate, which squeezed margins. Capital controls added to the problem by making it difficult for Argentina to import technology and winemaking supplies from abroad. The inflation/exchange rate squeeze was particularly hard on the value wine exports that were the initial key to Argentina’s success. It is nearly impossible to profit from exports of Argentinian Malbec with a retail price below about $10, so many of these wines have simply disappeared from the market (a few brave firms are absorbing short-term losses to maintain their market positions for the future). The good news is that the $10+ part of the U.S. market is growing, and so the Argentinian wines that remain are in a good place. The bad news is that this market segment has become intensely competitive, so it will not be easy to survive and thrive. And of course the Red Blend trend continues. I’ll end on a positive note. Economic policies are changing in Argentina, which gives hope for the wine industry there for 2016 or perhaps 2017. I’ll analyze the changing market environment in next week’s column. Here’s a good soundtrack for any discussion of a boom. Enjoy. Thank you for the post. The link to OIV report does not seem to work. Could you please send it to me one more time? Thank you! Thanks for the heads up, Egor. It should be fixed now. Cristina Fernandez de Kirchner is what happened. Now she’s gone, and hopefully the government will be smarter and pursue policies that will allow us to grow again. Is it any wonder Argentina is losing business? Argentina used to be extremely affordable and then decided like every other country to charge more. When you do that you have choices why Malbec when I can drink Amarone or Chateauneuf-Du-Pape for similar prices? I love everything about wine but is seems to get a decent bottle I constantly pay more under the guise of “On Sale ” Prices. The “On Sale” pricing is to keep you from getting a case price discounts so I don’t buy cases anymore. When I shell out $20 to $100 for a bottle of wine I like to drink regularly it gets a bet nonsensical for 750ML bottle. Consider this, I never was a beer drinker but now I find myself drinking more beer (love craft beers) and mixed drinks and enjoying them more. Wine pricing may have done more for beer and Liquor sales than marketing. I’ll go broke drinking the kind of wine I like to drink every day. To add insult to injury the supposed “good stuff” is not even reachable any longer which means their brand means nothing to me any longer. I don’t drive Baby Beamer or drink cheap wine made by the big brands especially when they taught me to believe Terroir was the secret sauce only to abandon that for marketing, pretty buildings and pomp and circumstance. Kind of a joke really. I believe the wine industry will be in more trouble down the road at least if there are more people who think like I do. I hope this finds you well. I have just completed Extreme Wine and loved it. I am doing some demographic /wine trends research for a new project in Denver. I have some Nielsen data and some reports from the Wine Institute. Can you recommend any resources for information? Thanks for your input and fascinating reading! Great to hear from you. Send me an email with more detail about your project and I will see if I can help with resources..
Hi Mike – loved your article and agree with much of it. I do think that Malbec has so much more to give, as it has for its known history which started with Medieval fame at the time of Eleanore of Aquitaine in the 12th century. What’s exciting is that Argentine producers are obsessing about terroir and regionality and this can only take us in the right direction. Thanks, Laura. I agree that Argentine producers are moving in the right direction to develop terroir and to communicate this to consumers. Late to the party here and good analysis Mike. Having spoken twice in Mendoza, I am left with enduring opinions that transcend our normal Keynesian economic training. Argentina has more defaults on its National Debt than any country in the world. The lack of hard currencies has hurt development. Add to that the Government which has been far left, making laws to get elected instead of developing the country’s economy, and wine – and everything else is hurt. Because of the lack of currencies, I was told of one winery owner who had to sell a foreign car in a dealership he owned in Buenos Aires first, before he could export wine to the US. While it sounds preposterous, that’s just a minor story. The other fact that has played against Chile, Argentina and Australia is they have each focused on exporting cheap wine to the US – each for different reasons, but all with the same result. While Argentina should be exporting their higher value wines and developing the US market, they have been held back from developing what otherwise should have been a natural progression to better priced wine. Hi Rob, since Argentina’s export strategy is to focus on the U.S., how do you think the exchange rate has affected their market since the USD/ARS has gone from 13.611 at the time of Mike’s posting, to 20.221 today?